"FINDING HOME IN THE VOW"
“Beings are numberless; I vow to free them.” The First Vow places us in the middle of the world of beings, all kinds of beings. Zen is not about escape, but about completely entering the community of life. The life of practice is a life inextricably bound up with others. The vow - the classic Four Vows and also our personal vows - are how we enter, how we connect, how we receive our lives as a gift from all the others. We do it by giving ourselves, each in our own particular way, and by the stillness that allows us to notice how our life is given. Shodo met Zen with Dainin Katagiri, studied with Tenshin Anderson, and left home under Shohaku Okumura. 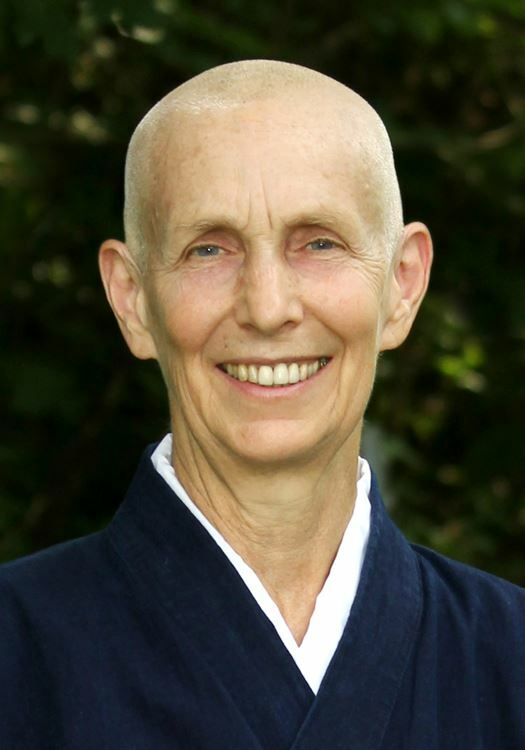 Her practice has included pilgrimage, environmental activism, ceremony, and especially zazen. She has two daughters and four grandchildren, earns her livelihood as a psychotherapist, and practices farming as spiritual life. Shodo is the author of Take Up Your Life: Making Spirituality Work in the Real World (Tuttle 1996), "Right Action: The World is My Body" in The Eightfold Path (Temple Ground Press 2016). Shodo is the founder of Mountains and Waters Alliance, humans joining with all beings to protect and restore the earth and all life. This includes zazen, teaching, a permaculture farm, land care, and being open to what arises next. We will begin the day with an orientation to sesshin practice. If you are new to meditation practice and find the sitting periods too difficult, you are welcome to quietly take a break. Scheduled breaks are short due to the limited space; if you need extra time please take it when you need it. We have plenty of floor cushions and chairs. OR, if you prefer your own you may bring a cushion or chair. There is no charge to attend the retreat. Dana for the teacher is customary.